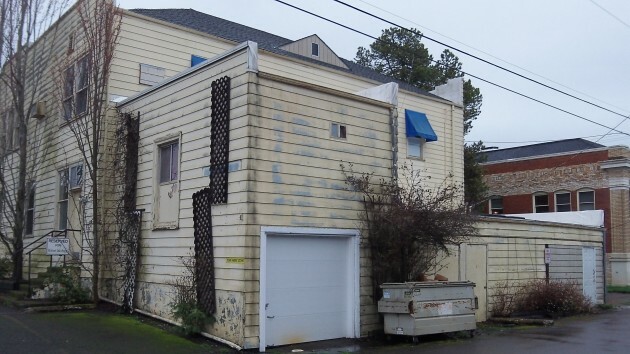 » What will become of this building? What will become of this building? The back of 420 Third Ave. S.W., next door to Albany’s Carnegie Library at right. And the front, facing Third Avenue. This is the downtown Albany building at issue in a proposal the CARA urban renewal advisory board may receive and consider the next time it meets, on March 19. This week, the board agreed to take a look then at a request for a grant or forgivable loan by Scott Lepman, who has completed two previous CARA projects by turning old buildings into attractive apartments. Lepman told the CARA board Tuesday that the building at 420 Third Ave. S.W. faces foreclosure by two banks and has only one business tenant left. An auction is scheduled for April 16, but Lepman has an option to buy the property before then. With CARA’s help he hopes to remodel it thoroughly as nine apartments and two businesses. His brother Spencer Lepman would be in charge of the construction. The cost of such a venture, and the size of any request for CARA aid, have not yet been figured out. The building was constructed in 1930 as Fortmiller Funeral Home. In 1979, William Mikkelson & Associates converted it to an office building. Then, Sunnyside Investment LLC (Robert Cooley) bought the property in 1993. County records list the purchase price at $185,000. All but one of the offices are vacant now, but signs outside still announce some of them including the Freer Wilderness program for troubled youth. Linn County tax records still show Sunnyside as the current owner. 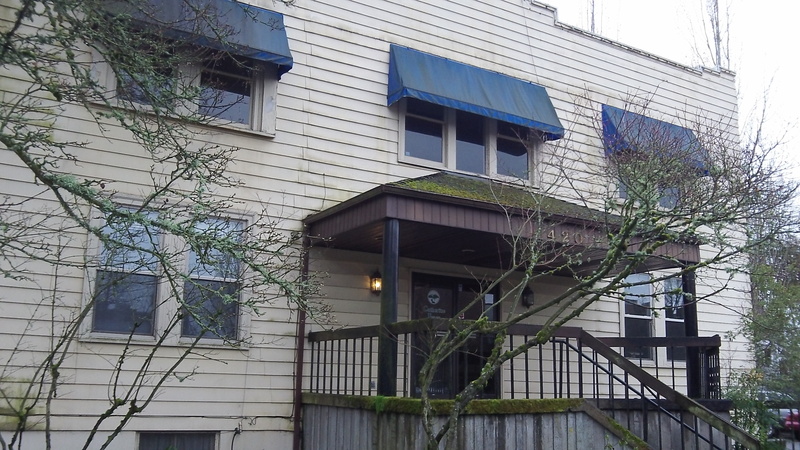 The records list a real market value in 2013 of $352,000 and an assessed value of $252,840. As of Wednesday, the records showed that $4,842 in property taxes was owed for 2012 and $4,418 for 2013. Lepman, an appraiser by profession, told the CARA board it would not pay to restore the building as office space alone because it would probably stand empty for a long time. In his experience, the only thing that would succeed economically is to turn it into handsome and well done apartments. The Lepman brothers turned an old warehouse into the Jefferson Lofts apartments and also remodeled an apartment block at 305 Sixth Ave. S.E., both with CARA aid. The idea of restoring 420 Third as a residential structure met with general approval from the CARA board, but they did not commit themselves to grant anything Lepman might request later this month, after he gets a firmer grip on the costs of such a project and what its value might be when it’s done. Given the Burright/Morse committee will discuss using CARA as a source of funds, I’d rather have CARA suspend all spending until the committee’s recommendations are known. A police headquarters and fire station seem like a higher priority than privately-owned apartments and office space. “A handsome & well done apartment complex…” would be the best use, according to Lepman. For that old building, I believe, only after extensive remodeling would that seem feasible. How about adequate parking? It’s timed parking on the street now during business hours. Take off the back/alley end maybe for parking? It has zero historical value and any money/lipstick might be better put on another downtown “pig”.